Undefeated welterweight contender Taras Shelestyuk of the Ukraine will take on Jaime Herrera of Franklin Park, Ill., in the main event Nov. 4 at Omega Products International Event Center in Corona. It is part of a tripleheader that will be televised by Showtime as part of its ShoBox series. Shelestyuk (14-0, 9 KOs) is ranked as high as No. 9 by one organization. He won a bronze medal in the 2012 London Games for Ukraine. Shelestyuk, 30, did not make his pro debut until he was 27, so time is of the essence for him if he’s going to make a big splash in the pro ranks. Herrera (15-3-1, 8 KOs) knows this is a terrific opportunity for him to make his name bigger. Petr Petrov of Russia has been a professional boxer for nearly 16 years, but he has never held a major world title. Petrov should now get his second opportunity to fight for one. 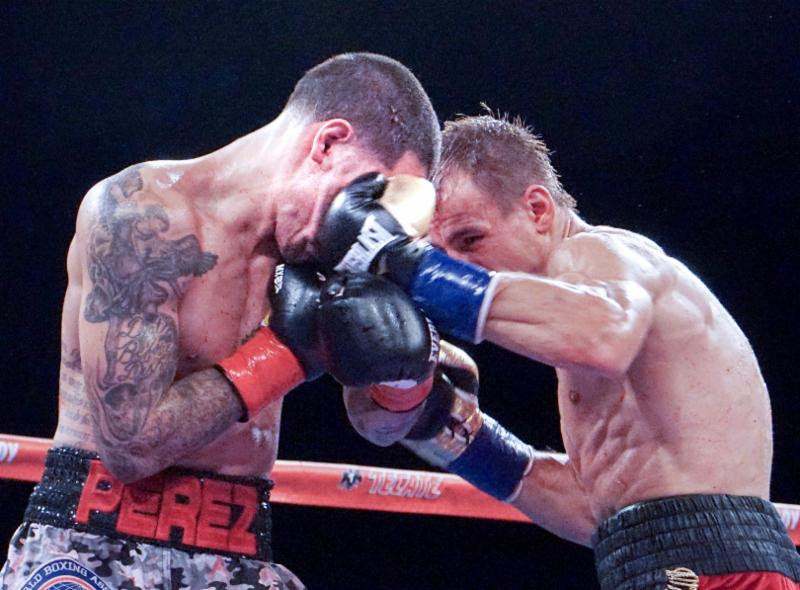 Petrov on Friday night stopped Michael Perez (24-2-2) of Newark, N.J., after six rounds of their lightweight main event slated for 12 rounds at Fantasy Springs Casino in Indio. It was a title-elimination bout, which means Petrov (38-4-2, 19 KOs) could get a shot at WBA champion Jorge Linares. “This victory is what I have been working for, to be so close to a world title shot,” said Petrov, 33. Petrov previously fought for a super lightweight world title, but was stopped in the fourth round by Marcos Maidana in September 2011. 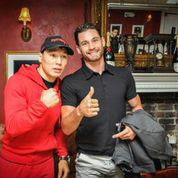 Petrov’s promoter, Artie Pelullo of Banner Promotions, liked what he saw.